Straight lines and defined edges characterise the design of the elegant Trace wall clock from ferm Living. The dial is made of black steel and does not need any numbers. Only two filigree brass hands indicate the time. Reduced to the essentials, the clock blends perfectly into any ambience and can find a place on the wall both in the kitchen and in the living room or hallway. A narrow rod with a round head serves for suspension and underlines the restrained shape. 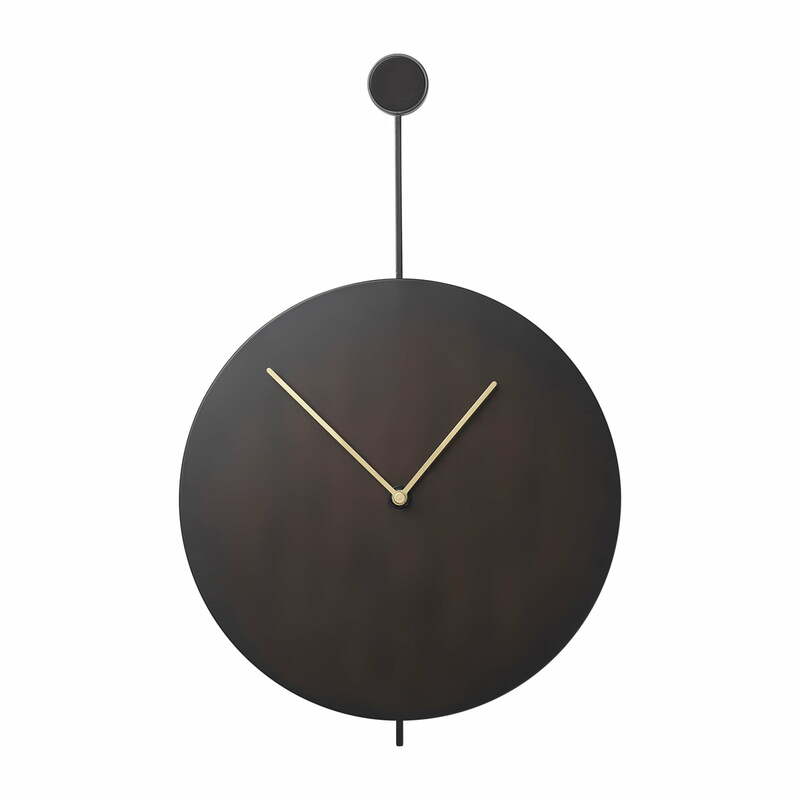 Trace wall clock in black / brass from ferm Living in single view. 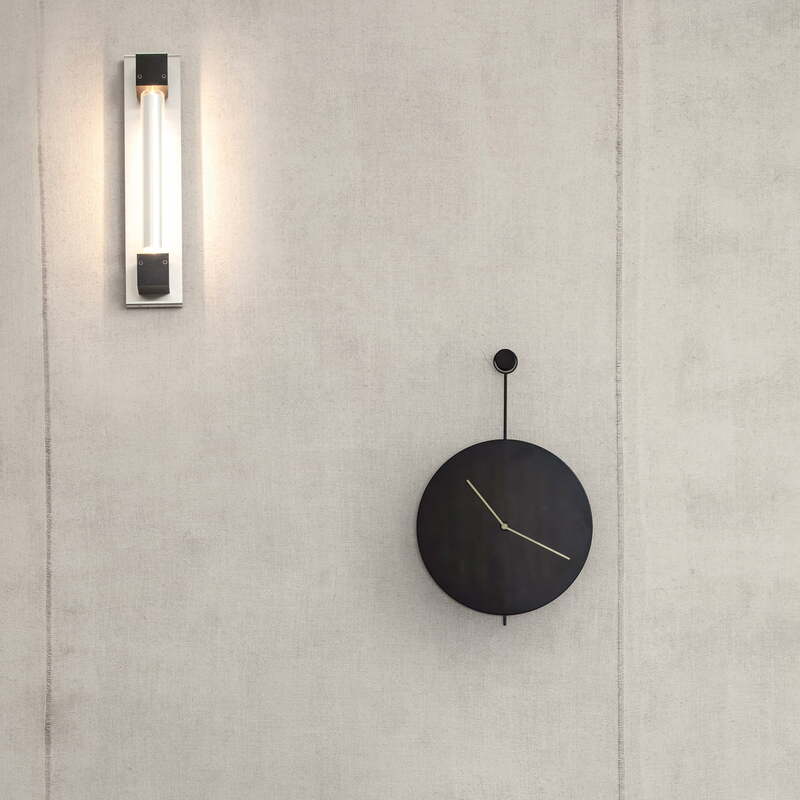 Straight lines and defined edges characterise the design of the elegant Trace wall clock from ferm Living. Trace wall clock in black / brass from ferm Living in the ambience view. The dial is made of black steel and has no numbers. Only two filigree brass hands indicate the time. 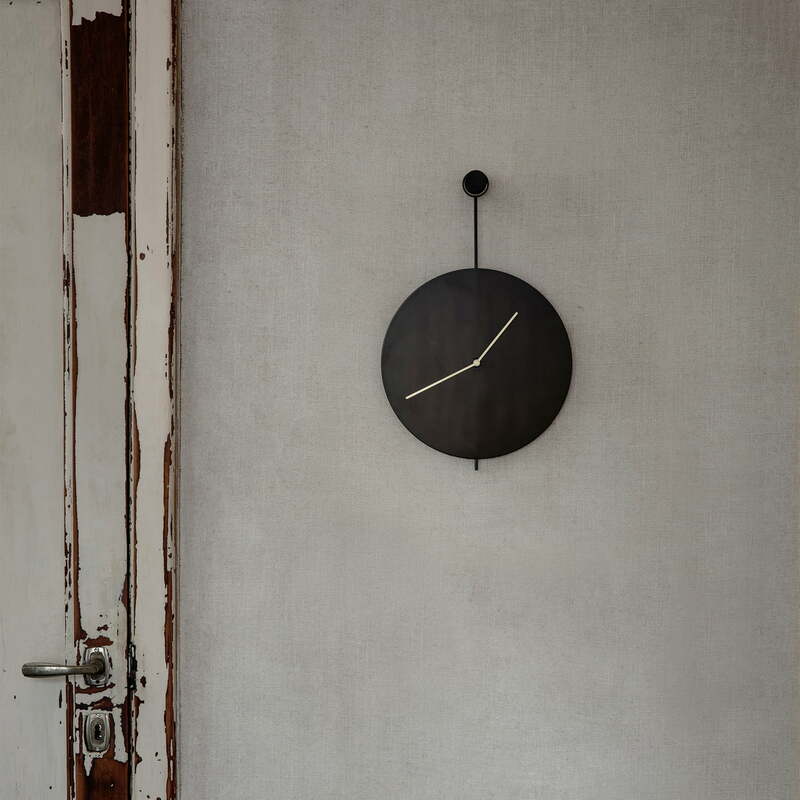 Trace wall clock in black / brass from ferm Living in the ambience view. Reduced to the essentials, the clock blends perfectly into any ambience and can find a place on the wall both in the kitchen and in the living room or hallway. 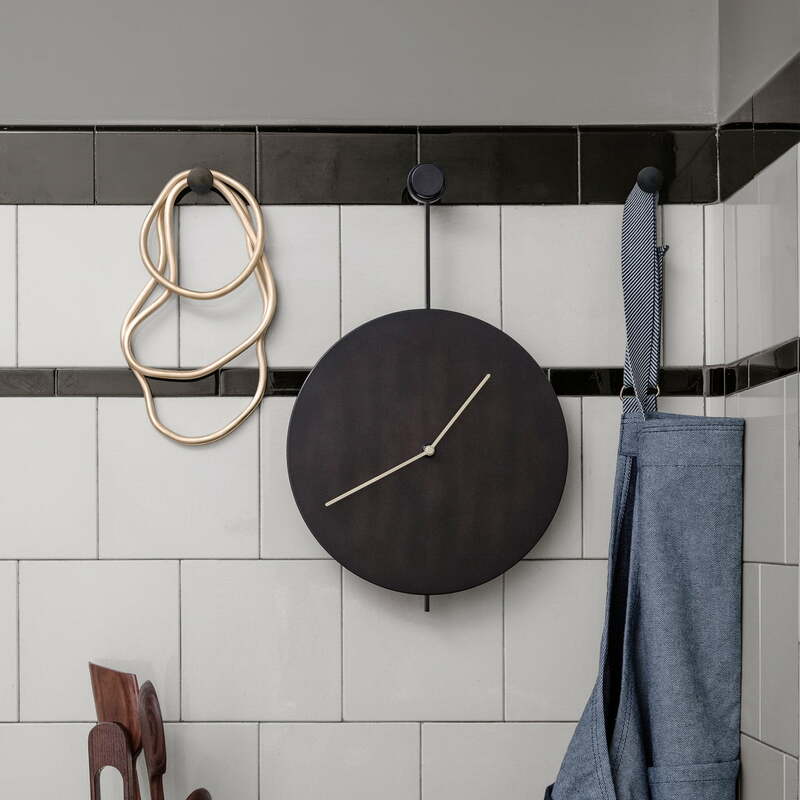 Trace wall clock in black / brass from ferm Living in the ambience view. A narrow rod with a round head serves for suspension and underlines the restrained shape.